Her cement-block chapel is deep in the barrio. so that the pilgrims could flock to see her. to weep out their lives under the whispers. when prayers to the dead are the most potent. although to what purpose, no one knows. I found this story of a pious and sweet soul who died in the 1920’s becoming a local shrine in The Petrified Woman of Capiz by PenPowerSong, and was so intrigued by it that I asked his permission to write a poem from it. The facts of the story stand true. The last sentence is almost directly from the original source and is what drew me to the idea of a poem in the first place. Thank you for reading It’s theirs after all, and paid for. I humbly appreciate your visiting the Book of Pain, and as always, I look forward to your comments. The photograph was taken on Hope Street in Providence, Rhode Island, on a spring jaunt that my wife and I had down that wonderfully eclectic street. For more photography, please visit the Book of Bokeh. 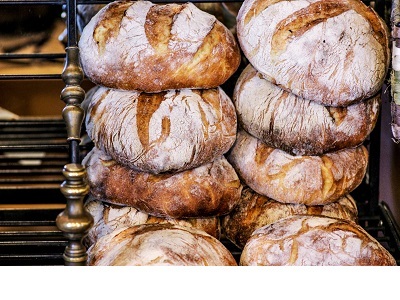 Photograph, poems and notes © 2014 by John Etheridge; all rights reserved. The poem and accompanying notes are licensed under the Creative Commons Attribution-Noncommercial-No Derivative Works 3.0 Unported License. This applies to all original written work found on this site, unless noted otherwise. The attribution claimed under the license is: © 2014 by John Etheridge, https://bookofpain.wordpress.com. The photograph is not licensed for use or reproduction in any way, unless so granted in writing by the copyright owner. I have, for some time, been championing Ian Hamilton’s poetry on my blog, mostly because there are no collections of his work in print. This poem is most probably about visiting his wife in a mental health institution and presumably after she has had some sort of shock treatment. Wistful, terse, gentle in the setup of a light touching moment, brutal in its honesty of the reality and tragedy of love, a dam of regret and sorrow barely held back. To me, this is classic Hamilton, and one can only stand back in awe at the world of being he sketches in only a few lines. Click here for a list of the other Ian Hamilton poems on the Book of Pain. For more on Ian Hamilton, I refer you to: his Wikipedia page. Thank you for reading Ian Hamilton’s “The Visit”. I sincerely hope you have enjoyed it and I humbly appreciate your visiting the Book of Pain. As always, I look forward to your comments. Comments © 2013 by John Etheridge; all rights reserved. and then he got me hooked. He got clean, I couldn’t, he left. 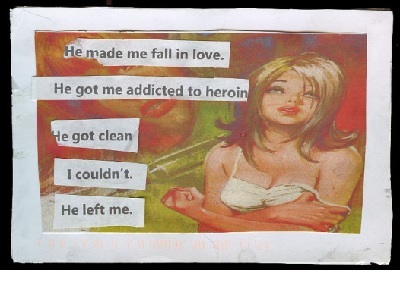 This poem, with very little editing, is based on a postcard I saw at PostSecret.com, a site where people anonymously mail in their secrets. I was at first struck with the simple, yet powerful rhythm of it, but then, clearly, the issue: on the one hand it is brutally honest to the reader, but on the other, brutally self-deceiving for the writer; notice how she refuses ownership of her issues. No wonder she cannot get clean. She is pitiable, but lost to everyone until she finds herself. Thank you for reading Him, you, them. I humbly appreciate your visiting the Book of Pain, and as always, I look forward to your comments. 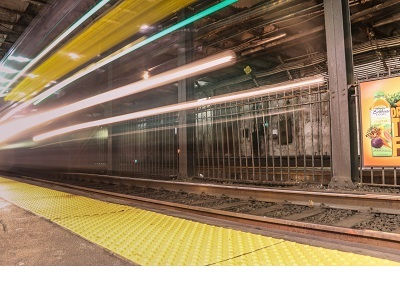 The photograph was taken at the Boston Commons subway stop. For more photography, please visit the Book of Bokeh. Photograph, poem and notes © 2014 by John Etheridge; all rights reserved. The poem and accompanying notes are licensed under the Creative Commons Attribution-Noncommercial-No Derivative Works 3.0 Unported License. This applies to all original written work found on this site, unless noted otherwise. The attribution claimed under the license is: © 2014 by John Etheridge, https://bookofpain.wordpress.com. The photograph is not licensed for use or reproduction in any way, unless so granted in writing by the copyright owner. why this, why that, why me? What is it, this ‘is it’, ‘to be’? you’ve missed the question altogether. The quotation, There but for the grace of God, go I, is attributed to John Bradford, an English protestant jailed by the Catholic Mary Tudor, and was said as he watched a group of prisoners being marched off for execution. His own turn was coming, however; he was burned at the stake on July 1st, 1555. Thank you for reading There but for the grace of God… I humbly appreciate your visiting the Book of Pain, and as always, I look forward to your comments. 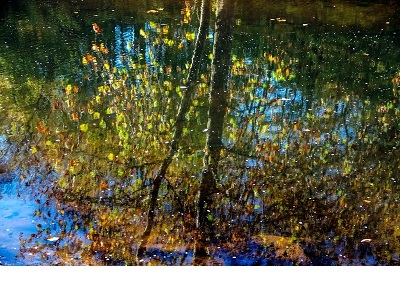 The photograph was taken in Pennsylvania and is the reflection of a tree in water. For more photography, please visit the Book of Bokeh. in the wrinkles of the Blue Ridge Mountains. to a hole and it was close and hot there for a while. of one of them blue coats and pullin’ the trigger. no matter how wet or cold it got. rather than worryin’ t’freeze t’death. so’s he could sleep warm that night. will I be sleepin’ warm down there? I don’t doubt I ought, I don’t. This is the final of two poems dealing with the American Civil War that were inspired by reading Killing Lincoln. I recommend that any non-Americans who aren’t quite as familiar with this war, read the explanation accompanying that first post, Sailor’s Creek, as a quick background to understand the key roles of that conflict. 1) Marse (short for ‘Master’) Robert was a term of deep affection Lee’s troops used to refer to him. 2) Lee’s plan after quitting Petersburg and the fall of the Confederate capital of Richmond was to escape to the Carolinas, where support for the Confederacy was high, there to fight a guerrilla war from the easily defended Blue Ridge Mountains. His retreat, however, was betrayed by Confederate looters who stole the army’s rations. The route was also eventually cut off by Grant, forcing Lee’s surrender at Appomattox. 3) While, in fact, both sides wore a variety of colors in their uniforms, generally the Confederate South (the ‘Rebels’) wore gray and the Union North (the ‘Yankees’) wore blue. Certainly, the grays and the blue coats became standard terms used by both sides to refer to themselves and each other. 4) This story is real in so far as it is historically correct and it is recorded that on at least one occasion a Confederate soldier in the last few days of battle killed his best friend because that friend, like many others and against orders, was wearing a coat stolen from a dead Northern soldier. The rest of the story, and especially the fear of the fires of hell, is my invention. 6) The ‘piece’ referred to by the speaker would have been his front-loaded musket rifle. Repeating Spencer rifles with modern bullets were introduced at the very end of the war, but only in the North and in very limited supply. By far the most common weapon for both sides was a long-barreled musket, where the gunpowder charge was loaded from the front, then a lead bullet and the whole tamped into place by a rod; an explosive cap was then placed under the hammer. Keeping your powder cartridges and caps dry and being able to perform quick re-loads, even in damp conditions, was the sign of a professional soldier. By this stage of the war, both sides were very, very good at doing this because if a soldier wasn’t, he was long dead. Thank you for reading Hope Marse Robert’ll speak up for me. I humbly appreciate your visiting the Book of Pain, and as always, I look forward to your comments. 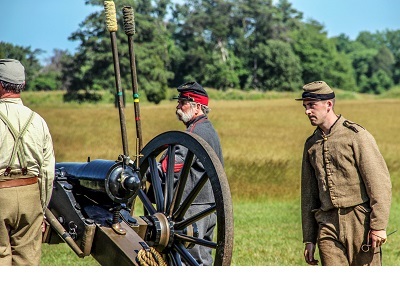 The photograph was taken at a Civil War re-enactment at Williamsburg, Virginia. The actors were a Southern troop of artilleryman and my standing so close to get that shot meant several hours of ringing ears from the one round they let off. What a real battlefield was like I can hardly, and do not really want to, imagine. For more photography, please visit the Book of Bokeh. Mahvash Sabet is a Bahá’í prisoner of conscience currently serving an unjust 20 year sentence in Iran. Read more of her story here. has finally had an answer to its prayer. has decked it in new garments, fresh and rare! Have you seen how green it is at last, how finally dressed, how fair? Can one not but be amazed that anyone, sick and unjustly imprisoned for their faith, could still find the tenderness and gentleness in their heart to write such a delicate and joyous poem? Shame to the Iranian authorities for such an injustice! Please consider purchasing Mahvash Sabet’s poetry as an act of solidarity in the fight for human rights: in the US, from Amazon; in the UK, directly from the publisher. This English edition of The Prayer of the Tree is ©2013 by Bahiyyih Nakhjavani, who adapted the original Persian text into English; all rights reserved. The weathered staves bound by rings once bronzed. It sways with each turn of the tired crank. Until the small splash echoes laggardly. Tired and worn from a life of long hauls. The weary bucket crashes down. Héloïse is a dear friend who has been, thus far, reluctant to publish her very fine poetry. I am hoping by seeing her poem here that she will be convinced to start her own blog and publish more of her work. To see my photography blog, please visit the Book of Bokeh. Poem © 2014 by Héloïse Haven; all rights reserved. The poem and accompanying notes are licensed under the Creative Commons Attribution-Noncommercial-No Derivative Works 3.0 Unported License..